There is no universally accepted definition of development. Different definitions and measurements have been proffered over the decades. These range from the use of indicators of economic affluence, such as GDP and poverty line, to use of social variables encompassing rights, education, and freedom, such as the Human Development Index. Nonetheless, no matter the approach adopted, a generally consensus is that many countries in the developing world, including Nigeria, are at the lower end of the development trajectory. Why are developing countries not developing? Many issues have been attributed for the slow pace or lack of development in developing countries such as Nigeria, with a lot of emphasis laid on corruption. This is buttressed in Nigeria by the fact that successive governments have prioritised tackling corruption. Corruption, especially in its endemic state, has a negative impact on development. Such negative impacts include negatively impacting on the business environment, a decrease in funds available for developmental projects, increasing cost and time of transacting private and public business, etc. Such impacts, which affect the day to day living of citizens, has resulted in a hegemonic narrative that if corruption could be tackled then Nigeria would be on the highway to development. 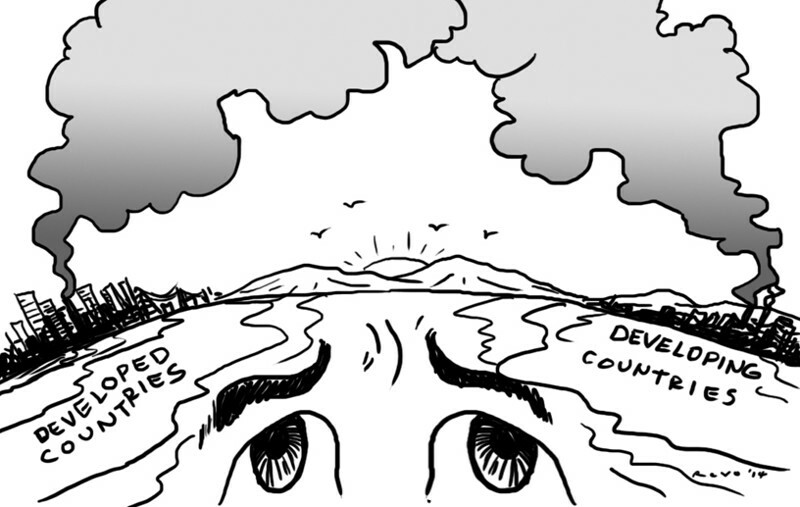 Hegemonic narrative overshadows other impediments to development. This hegemonic view has resulted in the relegation of other substantive issues hindering development to the background. Furthermore, by focusing so much attention on tackling corruption, policy makers lose sight of the fact that corruption could be directly or indirectly tacked by focusing on other substantive issues. One such substantive issue that is not being given adequate attention in Nigeria is urban development planning and management. Why are cities/urban centres critical to development? The answer can be seen in the fact that cities, right before the creation of nation states in the 16th century, have existed to perform crucial functions which allow development to flourish and these functions are still germane today. These include: presence of thick markets around multiple workplaces and division of labour; shared infrastructure and service providers resulting in the dynamics of backward and forward inter-linkage of ﬁrms in industrial systems; and the emergence of localised relational assets promoting learning from knowledge spill-overs and innovation eﬀects. These functions are enhanced as productive cities tend to have a high concentration of support services; from high end legal and accounting services, financial and management consulting, repair and logistics, advertising, to public services like education and policing. Findings indicate that successive Nigerian governments have not come to terms with the critical roles of cities/urban centres. This is based on the fact that with the exception of Abuja and Lagos, urban governance structures are lacking or non-existence in Nigerian cities. This is despite the fact that Nigeria’s urban population was estimated at 47% of her total population as at 2014 and it is predicted to rise to 67% by 2050. The above fact is further nuanced when the functions of Ministries, Departments and Agencies (MDAs) saddled with urban development issues are examined, as well as, the coordination of urban issues amongst the national, state and local levels of government. Nigeria’s Federal Ministry of Housing and Urban Development is responsible for urban development initiatives at the federal level. At the state level, Ministries of Physical Planning and Urban Development exist in some state, although they may bear different nomenclature. While planning for local government areas are undertaking by state MDAs in most states in Nigeria. A deeper look at the activities of these MDAs reveals that while at the federal level the focus is geared towards housing related issues such as provision, state MDAs focus on physical planning, mainly designing of master plans and enforcement of planning laws and regulations, which many states see as a tool for revenue generation through development permit. Coordination of urban development issues amongst the national, state, and local levels of government can be said to be non-existence, despite provisions made to this regard in the 1992 Nigerian Urban and Regional Planning Law, decree No. 88 as amended in 1999. If the preceding facts are correlated with the conclusion arrived at by Cities Alliance that “no country has ever attained middle-incomes without urbanising, and none has reached high income without vibrant cities that are centers of innovation, entrepreneurship and culture”, then the situation in Nigeria and other developing countries, where policy makers are yet to come to terms with the need to create structures and systems to effectively manage cities/urban centres, is a cause for concern. This is because when corruption is eventually tackled in these countries there will be a realisation that attaining development is still a mirage. 5. Miller, H., 2014. What are the features of urbanisation and cities that promote productivity, employment and salaries?. s.l.:EPS-PEAKS. 6. Well-being and citizenship in urban Nigeria (2015) Forthcoming publication by Andrea Rigon et al.